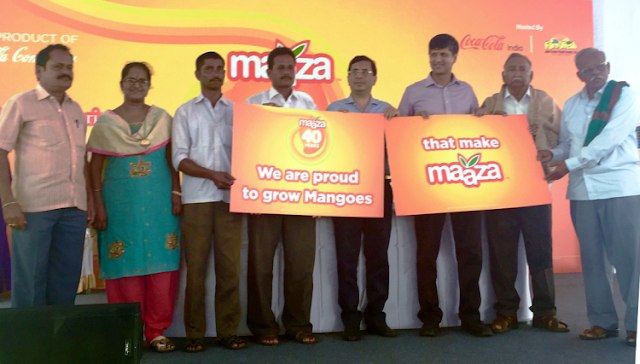 The Coca-Cola Company has ambitious plans for Maaza – its flagship juice brand – which is celebrating 40 years of juice leadership in India,” said Mr. Venkatesh Kini, President, Coca-Cola India and South West Asia in an event to celebrate 40 years of juice leadership of “Maaza”. Coca- Cola and its bottlers in India are estimated to procure more than 2 lakh metric tonnes of mango pulp, worth Rs. 1100/- crores annually, if Maaza becomes a USD 1 billion brand in sales by 2023. This is our ambitious target, which will also benefit 100,000 farmers. “The success of Maaza over the last four decades has been in its simplicity – real mango experience in every sip. It is the perfect blend of premium Alphonso with Totapuri mango pulp rather than mango concentrate, sourced locally from some of India’s best mango orchards. 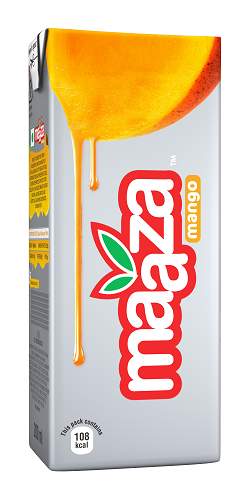 We are now embarking on this mission of turning Maaza into the world’s first USD 1 BN juice drink brand (by sales), coming out of India. We are very excited about what this can do for the agri sector and the food processing industry”, he further added. 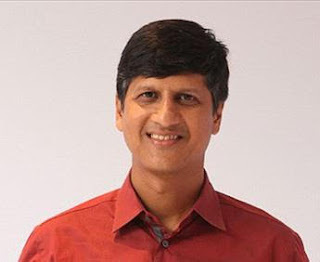 “The Company and its bottlers plan to invest aggressively in enhancing brand love, launching new, affordable and value for money juice packs, expanding distribution and augmenting manufacturing capacity to double the sales of Maaza by 2023. The resource infusion behind Maaza is a part of the USD 5 BN investment plan of The Coca-Cola Company and its bottlers in India, between 2012 and 2020. The bottlers of the Company are setting up 5 Greenfield projects over the next 2 years, (in addition to 57 bottling Plants that already exist) atleast 50% of which will have manufacturing lines for Maaza. These new lines will help keep pace with the expected increase in demand of Maaza over the next few years. Partners in the success of Maaza, Mr.Anil Jain, Vice Chairman and Managing Director, Jain Irrigation said, “At Jain Irrigation, we are delighted to be playing our part in celebrating 40 years of Maaza – an iconic juice brand that I actually grew up with. Maaza is now a guiding light and a flag post for new juice brands on what a good product can do for the entire agri-ecosystem. We anticipated Maaza’s growth and therefore the increased demand for fruit pulp and five years ago launched Project Unnati. Unnati is aimed at a large scale adoption of Ultra High Density Plantation (UHDP) in the country and aims to scale up the project to cover end-to-end fruit supply chain and further optimize delivery. The project to be scaled up over a period of 10 years, is aimed at creating an ecosystem that delivers higher growth and income for farmers and ‘Grove to Glass’ fruit supply chain and optimizing delivery. Project Unnati alone is expected to deliver close to 240 MT of fruit by year 2023 – 24”. India is the world’s largest producer of mangoes, but the average yield per hectare of mangoes in India is one of the lowest in the world – even behind countries like Bangladesh and Pakistan. The mango productivity in India is estimated at 8 metric tonnes per hectare while that of Brazil is 16 metric tonnes per hectare. Ultra High Density Plantation is a proven technology, commonly practiced for mango cultivation worldwide and combined with other sustainable agricultural techniques, has the potential to yield upwards of 200% more produce than that by the traditional method. Ultra High Density Plantation (UHDP) technique enables plantation of nearly 600 trees in an acre, against the conventional method of planting 40 to 70 trees. In traditional mango cultivation, trees are allowed to grow as high as possible; they are pruned minimally or not at all. In UHDP, canopy is maintained in such a way as to attain maximum light interception and canopy volume per unit area in early years of plantation. This leads to the orchard attaining full potential in 4-5 years.The gestation period in UHDP is less, and the farmer starts getting returns in the early years, as UHDP orchards start commercial bearing from the 3rd to 4th year onwards against the 7 to 9 years required in traditional planting. The technique further utilizes drip irrigation, offering twin benefits to the farmers by improving yield/acre and simultaneously decreasing the quantity of water used per kilo of mango produced. This process requires mango grafts of commercial varieties planted close to each other. Special techniques of pruning, fertigation, irrigation and growth promotion lead to the well-rounded growth of mango orchards with sufficient number of branches and shoots. Special care for nutrition management and pest control is also undertaken in the project. Together, these modern techniques are expected to enhance the produce by as high as 200% compared to traditional plantation methods. Ultra-High Density Plantation is a viable solution and can be undertaken in all regions where mangoes are grown traditionally. Coca-Cola India is one of the country’s leading beverage companies, offering a range of healthy, safe, high quality, refreshing beverage options to consumers. Over the last 22 years, ever since its re-entry in 1993, the company has been refreshing consumers with its beverage products - Coca-Cola, Coca-Cola Zero, Diet Coke, Thums Up, Fanta, Limca, Sprite, Sprite Zero, Maaza, Maaza Milky Delite, VIOflavoured milk ‘Almond Delight’ and ‘Kesar Delight’, Minute Maid range of juices, FUZE Iced tea, Georgia and Georgia gold range of hot and cold tea and coffee options, Schweppes, Kinley and Bonaqua packaged drinking water and Kinley Club Soda. The Company along with its bottling partners, through a strong network of over 2.6 million retail outlets, touches the lives of millions of consumers, at a rate of more than 500 servings per second. Its brands are some of the most preferred and most sold beverages in the country – Thums Up and Sprite – being the top two selling sparkling beverages. For information on the company's India operations and its products, please visit: www.coca-colaindia.com.